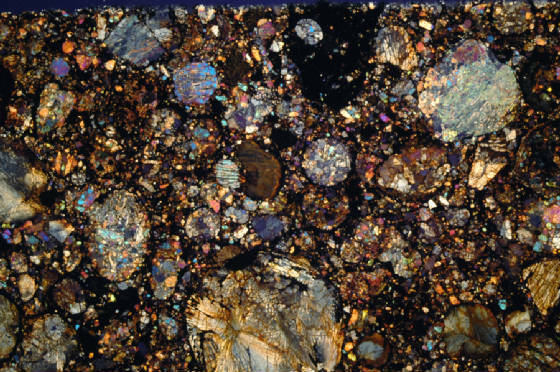 A thin section is a laboratory preparation of a meteorite sample for use with a polarizing petrographic microscope. 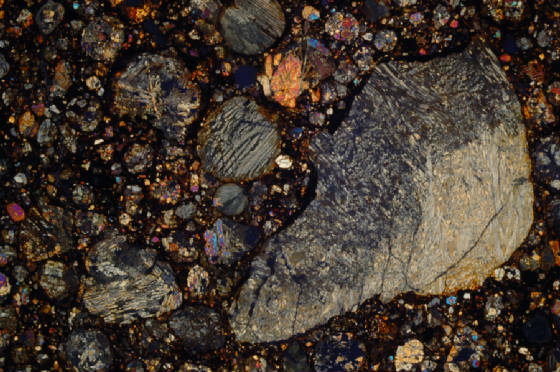 A thin sliver is cut from the meteorite, mounted on a glass slide and then ground to a thickness of only 0.03 mm (= 30 microns). 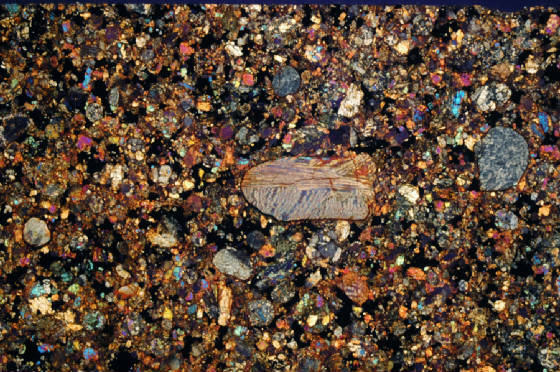 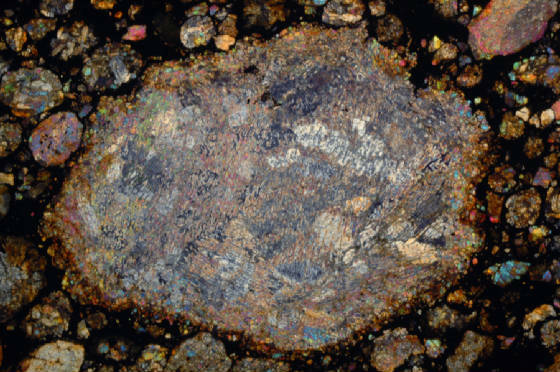 When placed between two polarizing filters, the mineralogy is awash in color which makes it easier to determine the composition of the analysed meteorite, while in transmitted light, thin sections reveal mainly the texture and crystal shape of minerals. 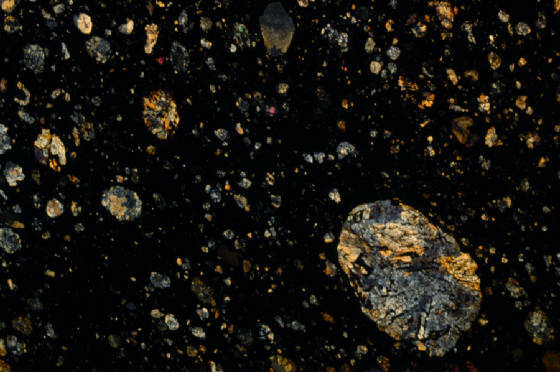 Particularly fascinating are the unequilibrated type 3 chondrites. 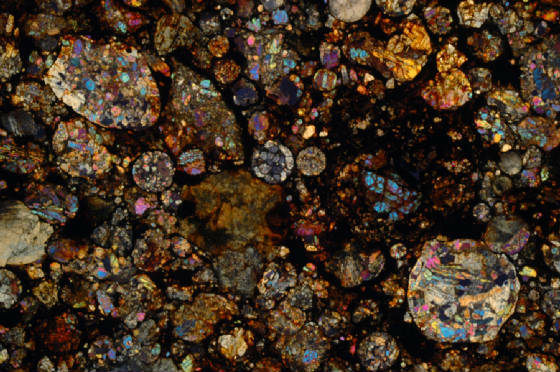 Chondrules were born in the disk of gas and dust surrounding the young Sun, the same disk that gave rise to the planets. 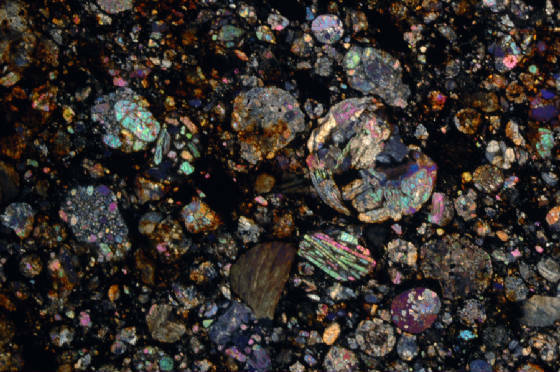 Lightning zaps and shock waves briefly heated isolated regions of the disk, partially melting the dust. 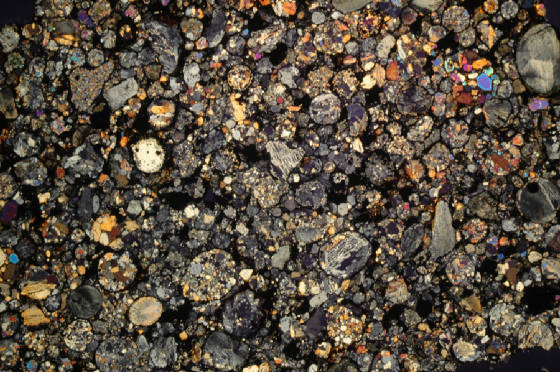 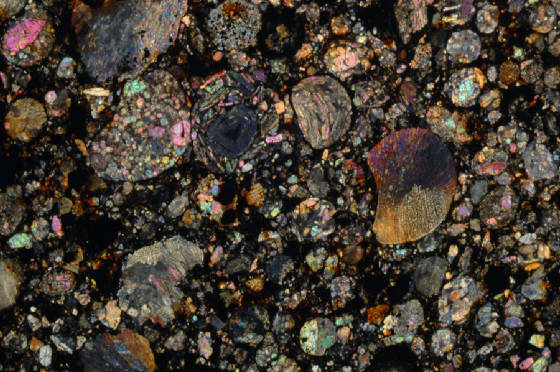 The resulting silicate and metal droplets cooled to form the tiny chondrules, which soon collided and stuck together with other minerals to form chondrites. 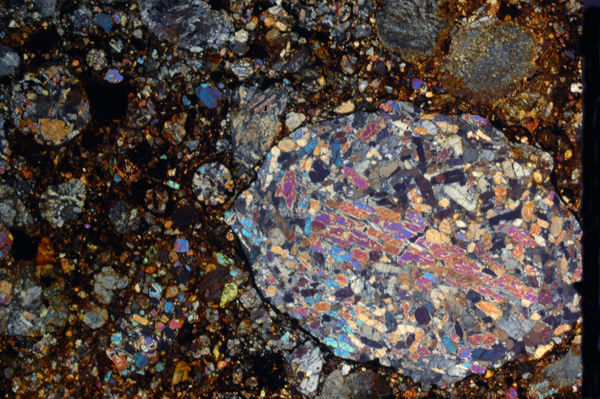 Thin section (XPL) of NWA 5479, L3; total view about 8 x 6 mm (photo: P. Marmet). 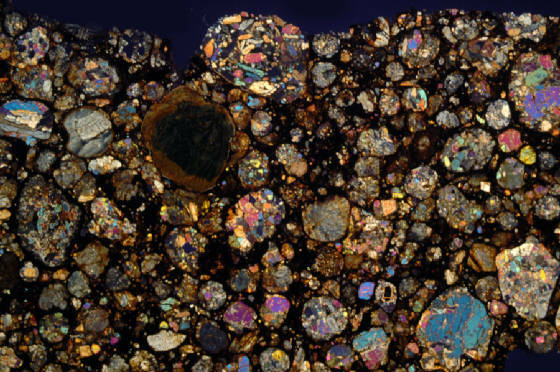 Thin section (XPL) of NWA 5672, L3; total view about 8 x 6 mm (photo: P. Marmet). 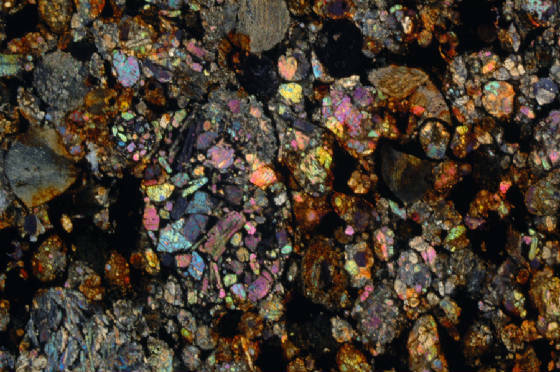 Thin section (XPL) of NWA 5677, L3; total view about 8 x 6 mm (photo: P. Marmet). 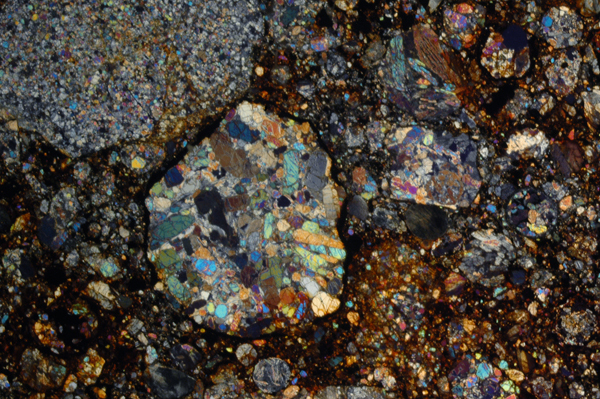 Thin section (XPL) of NWA 5701, L3; total view about 8 x 6 mm (photo: P. Marmet). 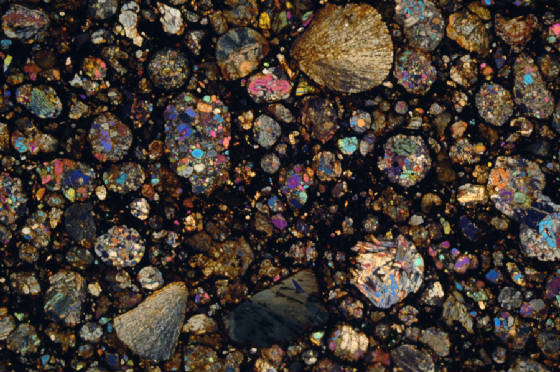 Thin section (XPL) of NWA 5479, L3; total view about 11 x 7.5 mm (photo: P. Marmet). 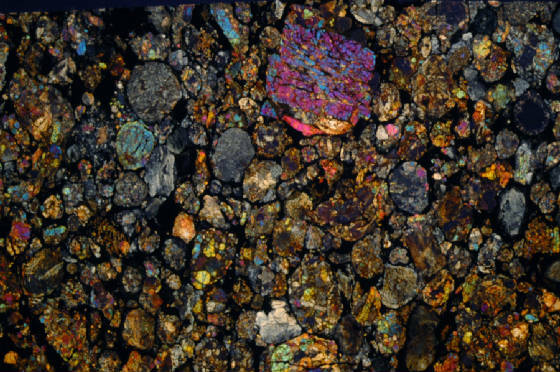 Thin section (XPL) of NWA 2385, L3.8; total view about 11 x 7.5 mm (photo: P. Marmet).. 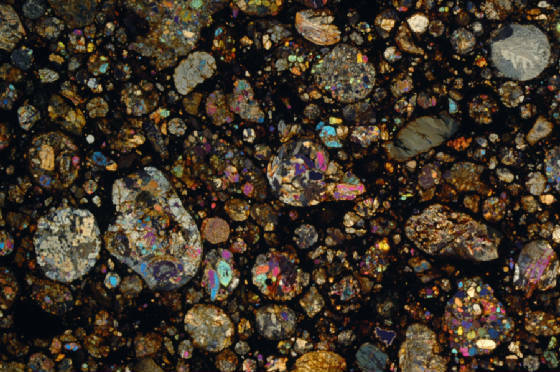 Thin section (XPL) of NWA 2385, L3.8. 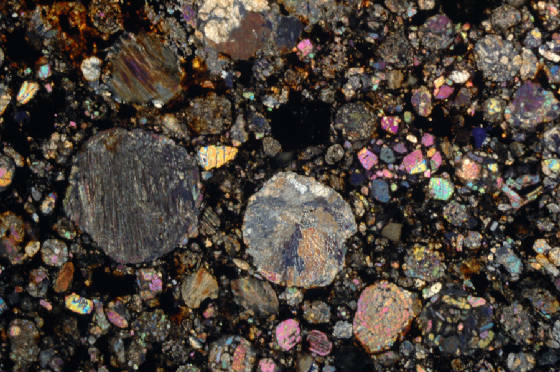 ; total view about 11 x 7.5 mm (photo: P. Marmet). 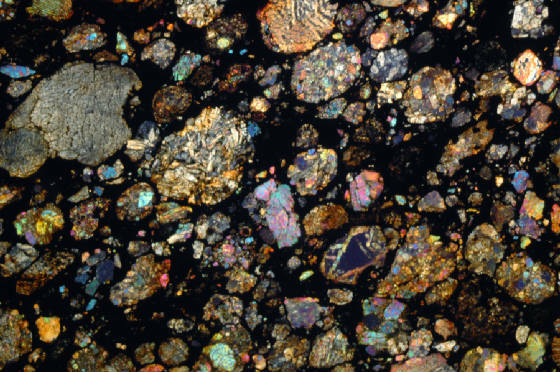 Thin section (XPL) of NWA 2377, L3.7. 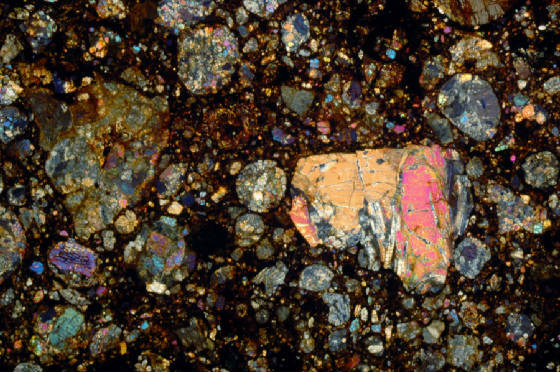 ; total view about 11 x 7.7 mm (photo: P. Marmet). 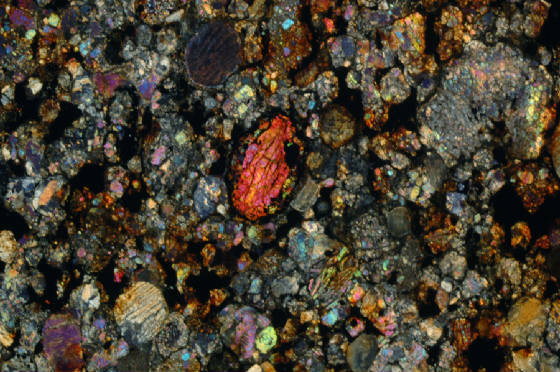 Thin section (XPL) of NWA 2385, L3.8; total view about 11 x 7.5 mm (photo: P. Marmet). 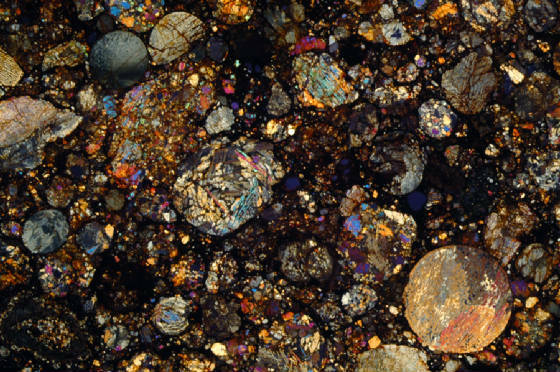 Thin section (XPL) of Santa Vitoria do Palmar, L3; total view about 11 x 7.5 mm (photo: P. Marmet). 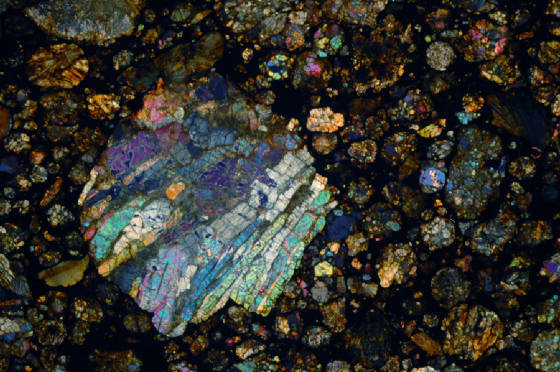 Thin section (XPL) of NWA 4460, L3.9; total view about 8 x 6 mm (photo: P. Marmet). 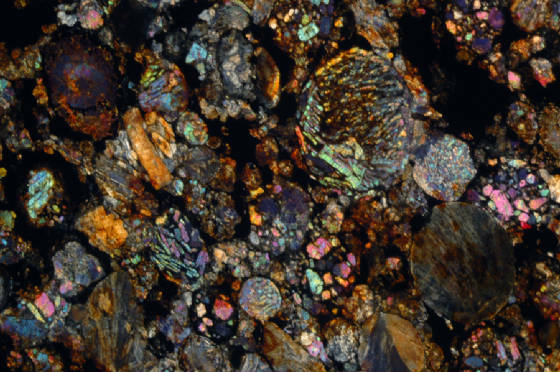 Thin section (XPL) of NWA 4460, L9.3; total view about 8 x 6 mm (photo: P. Marmet). 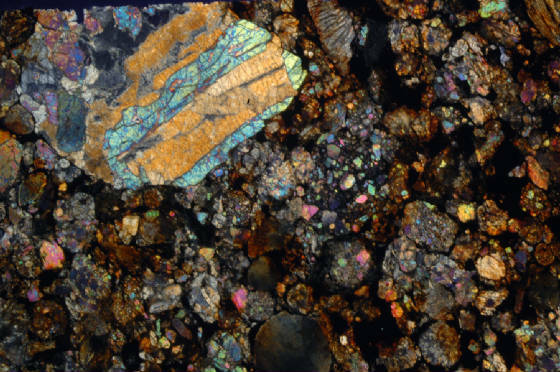 Thin section (XPL) of SAH 98035, L/LL3. 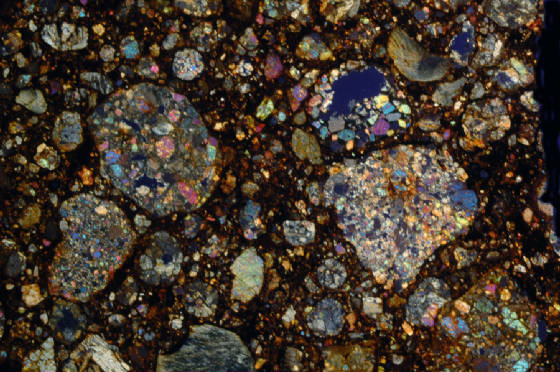 ; total view about 11 x 7.5 mm (photo: P. Marmet). 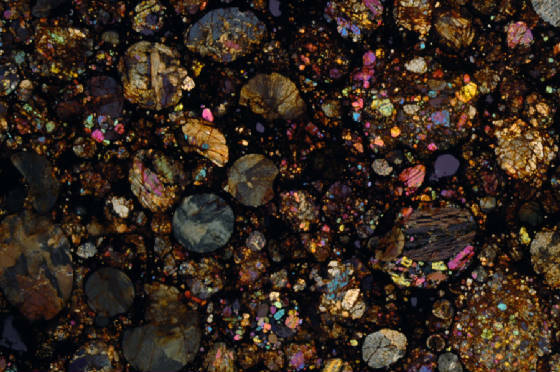 Thin section (XPL) of Sahara 98035, L/LL3; total view about 11 x 7.5 mm (photo: P. Marmet). 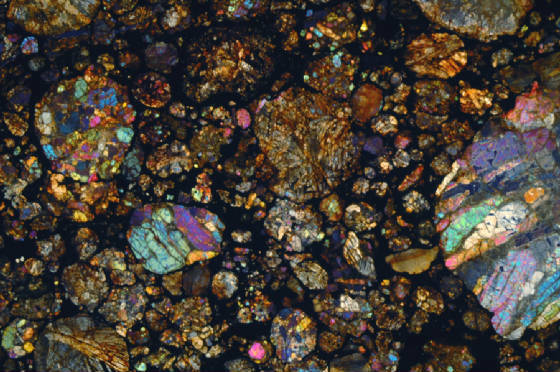 Thin section (XPL) of NWA 533, LL3.4; total view about 11 x 7.5 mm (photo: P. Marmet). 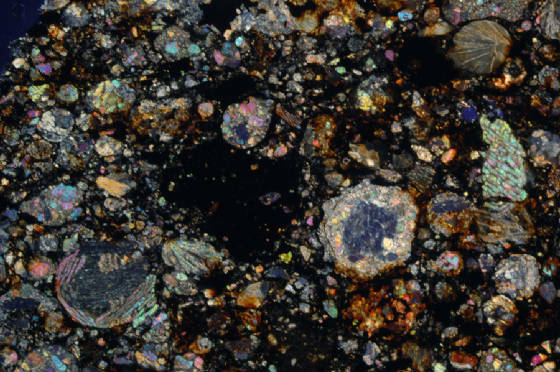 Thin section (XPL) of NWA 3119, LL4; total view about 11 x 7.5 mm (photo: P. Marmet). 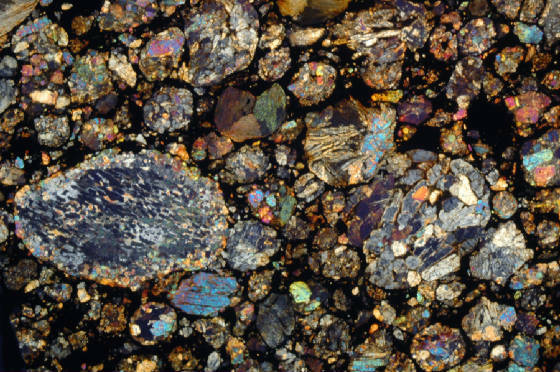 Thin section (XPL) of NWA 2398, LL3.5. 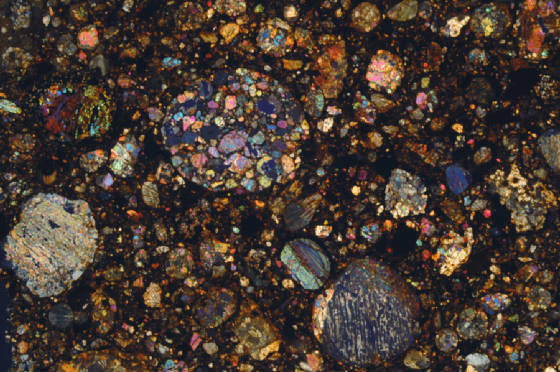 ; total view about 11 x 7.5 mm (photo: P. Marmet). 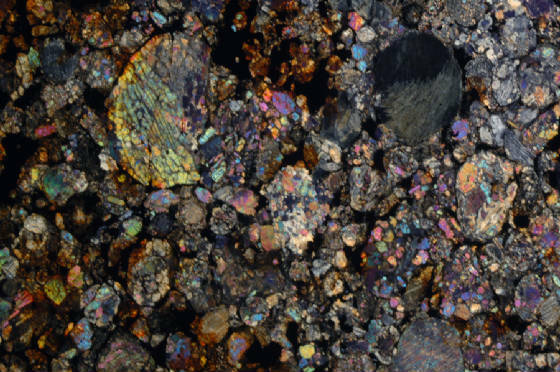 Thin section (XPL) of NWA 4522, LL3.5; total view about 8 x 6 mm (photo: P. Marmet). 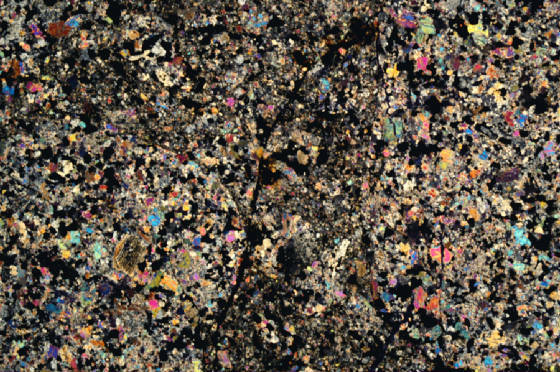 Thin section (XPL) of DaG 405, H3.5; total view about 8 x 6 mm (photo: P. Marmet). 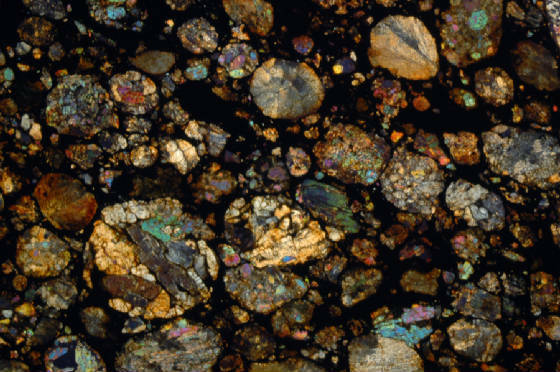 Thin section (XPL) of Tieschitz, H3. 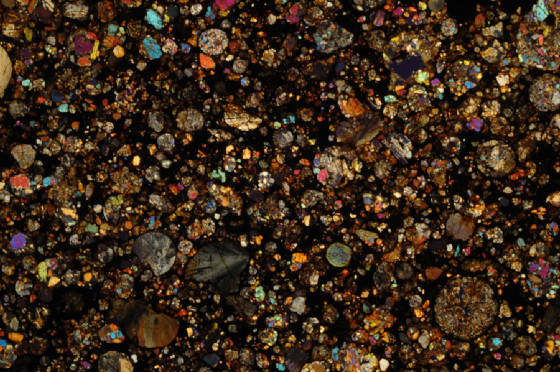 ; total view about 15 x 11 mm (photo: P. Marmet). 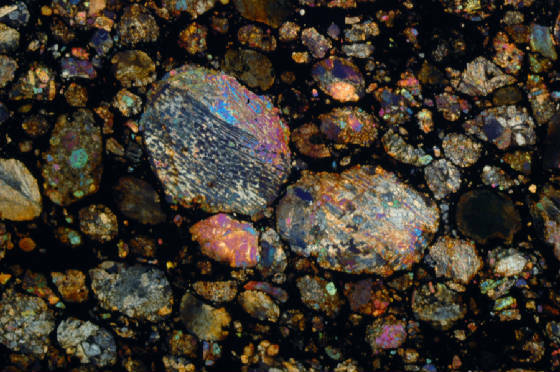 Thin section (XPL) of DaG 442, H3.6; total view about 11 x 7.5 mm (photo: P. Marmet). 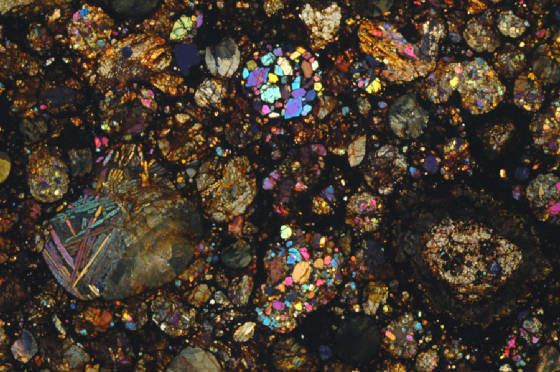 Thin section (XPL) of Selma, H4; total view about 11 x 7.5 mm (photo: P. Marmet). 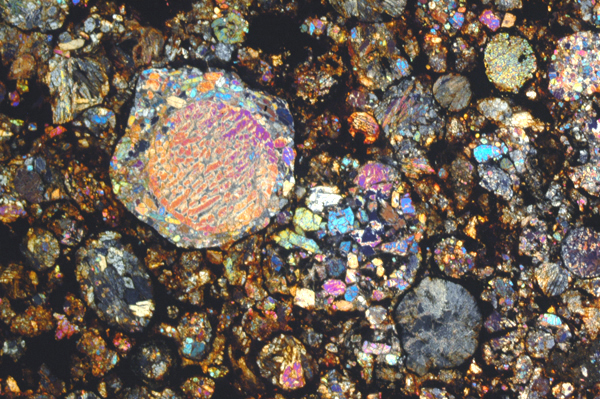 Thin section (XPL) of Round Top, H4. 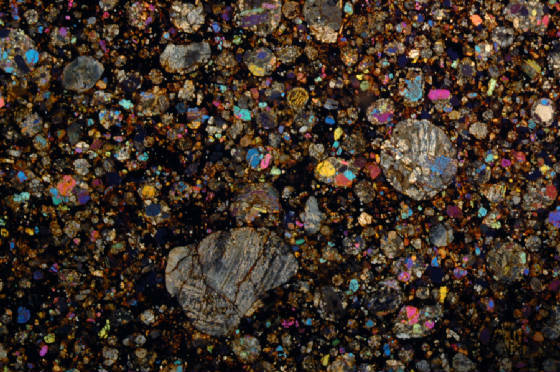 ; total view about 11 x 7.5 mm (photo: P. Marmet). 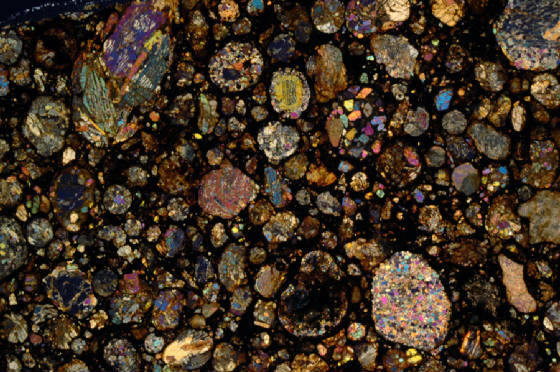 Thin section (XPL) of Agen, H5. 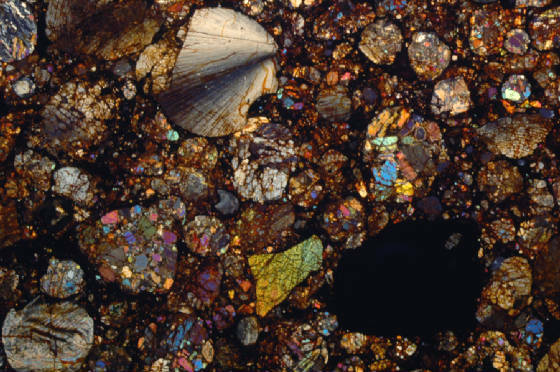 ; total view about 11 x 7.5 mm (photo: P. Marmet). 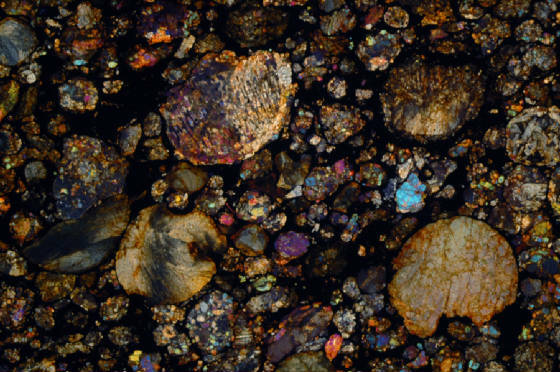 Thin section (XPL) of NWA 5554, H/L3-6. 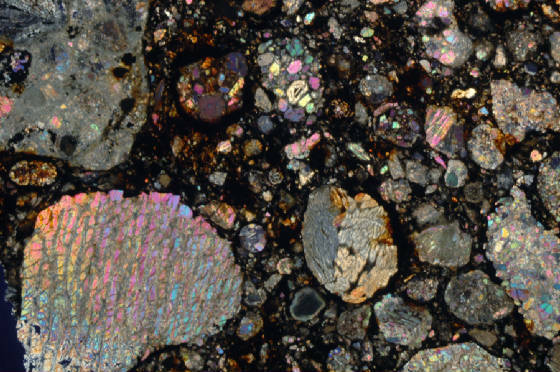 ; total view about 8 x 6 mm (photo: P. Marmet). 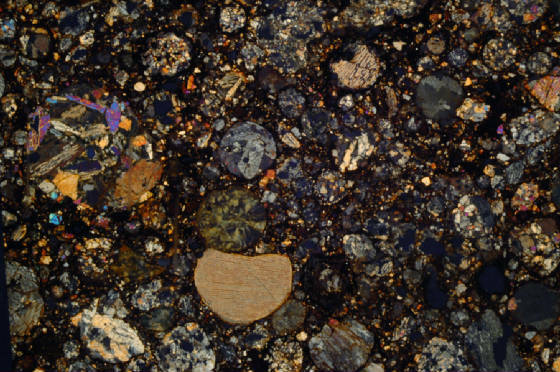 Thin section (XPL) of Sahara 97121, EH3. 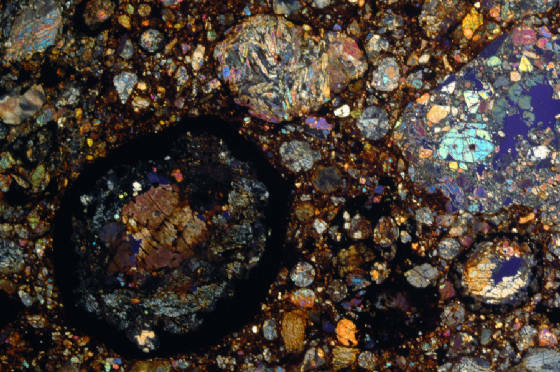 ; total view about 11 x 7.5 mm (photo: P. Marmet).